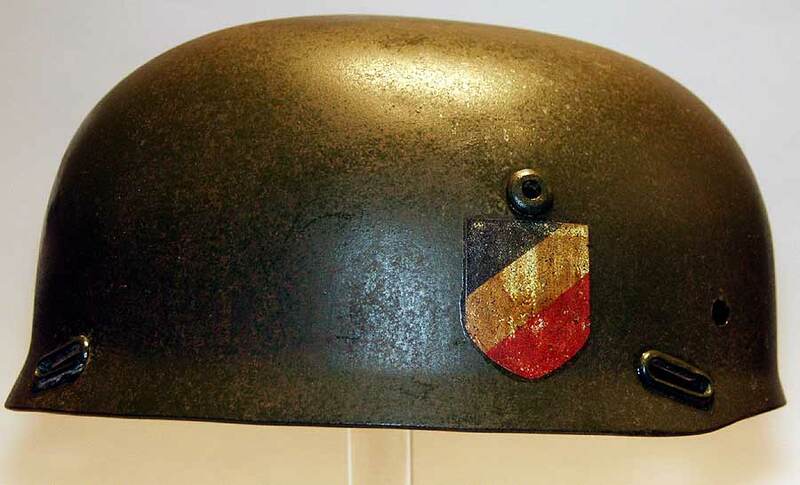 These are a set of four reproduction M36 Model German Paratrooper Helmet eyelets or grommets. 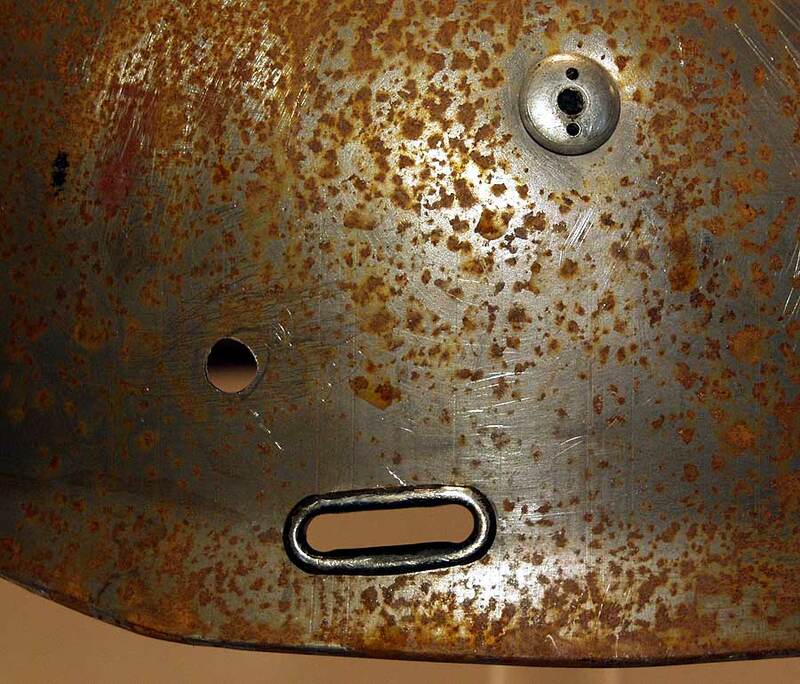 The first model M36 para helmet was constructed with 4 slots reinforced with nickel plated eyelets. 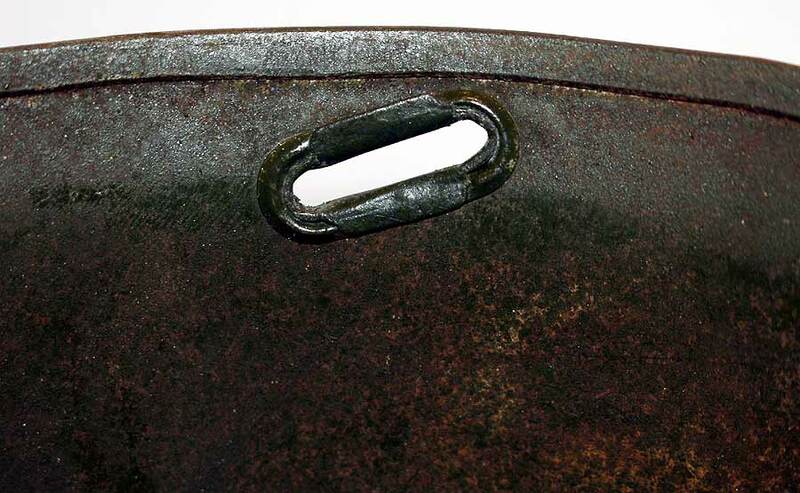 This would allow the leather straps to be passed through the shell and permanently attached to the shell. 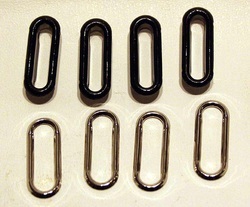 A later and more common version used the eyelets to attach the chinstrap carbine clips when not used for parachuting. 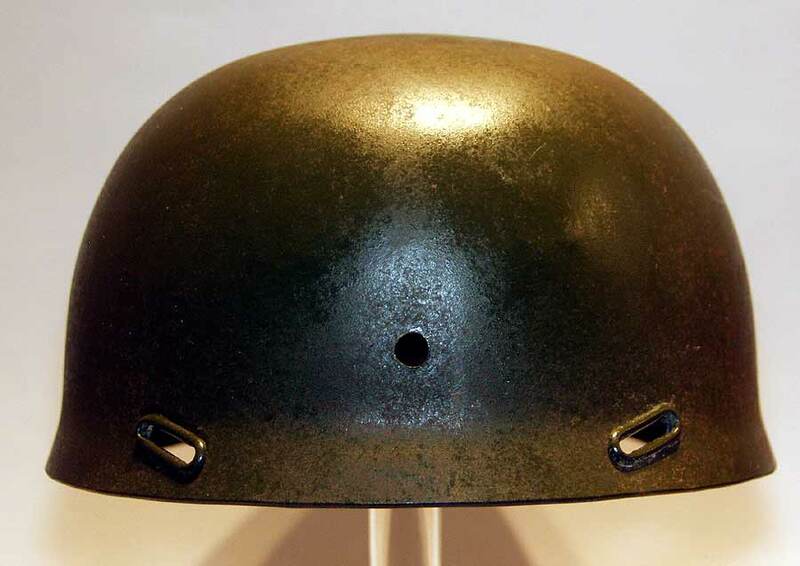 This set of four grommets allows you to recreate a M36 helmet using a standard M38 model available from well know auction sites and recreate a highly sought after reproduction M36 Helmet. 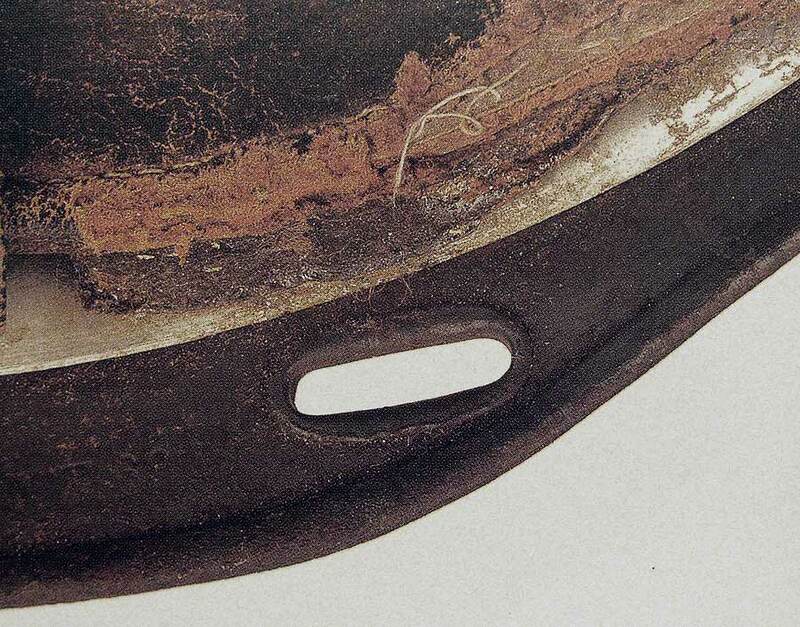 These European produced grommets are made from nickel plated steel as the originals were. 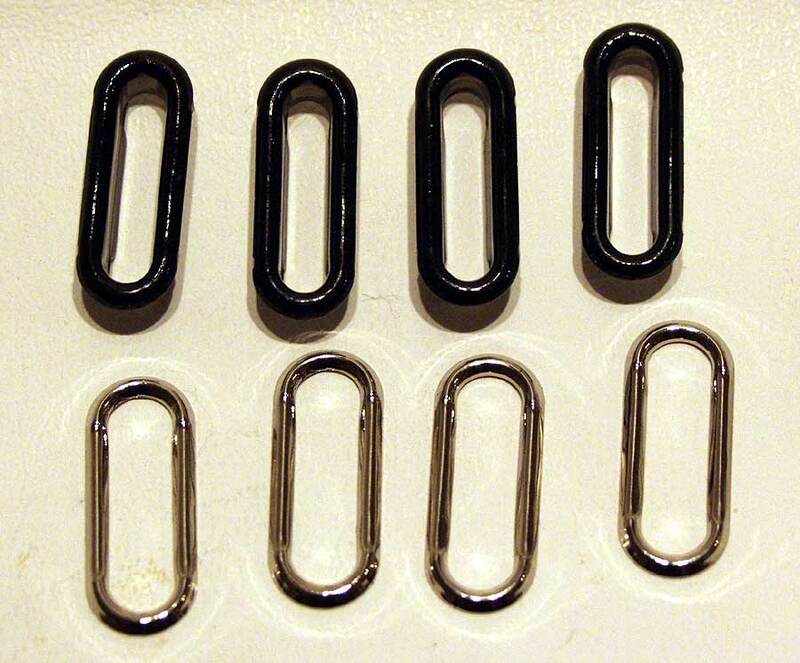 They are exactly the same dimensions as the originals, with only a slight difference on the inside. 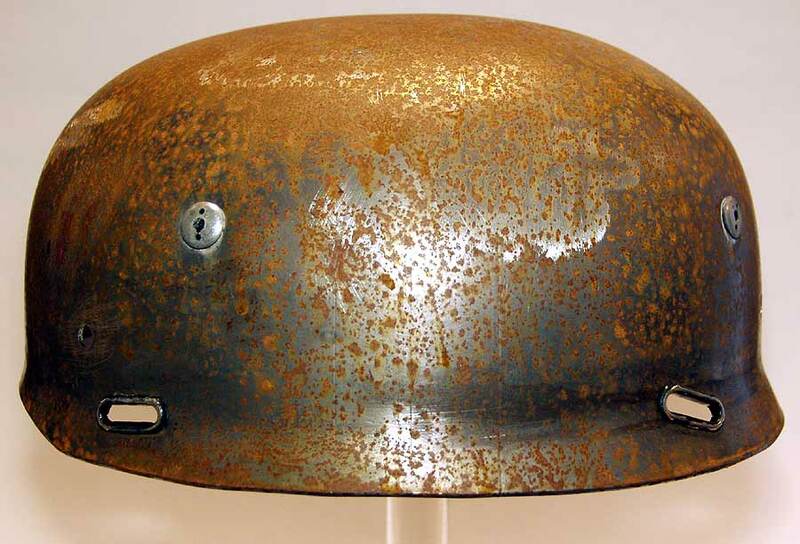 Some of the pictures below show a M36 Helmet under construction using the M36 eyelets. 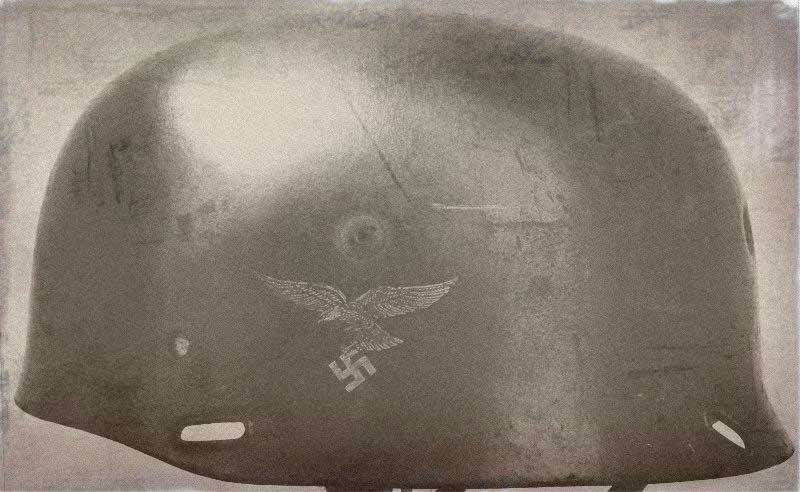 If you don't see a German helmet accessory suitable for your helmet or hat and want one made up, please email us the details. We may be able to make it for you. 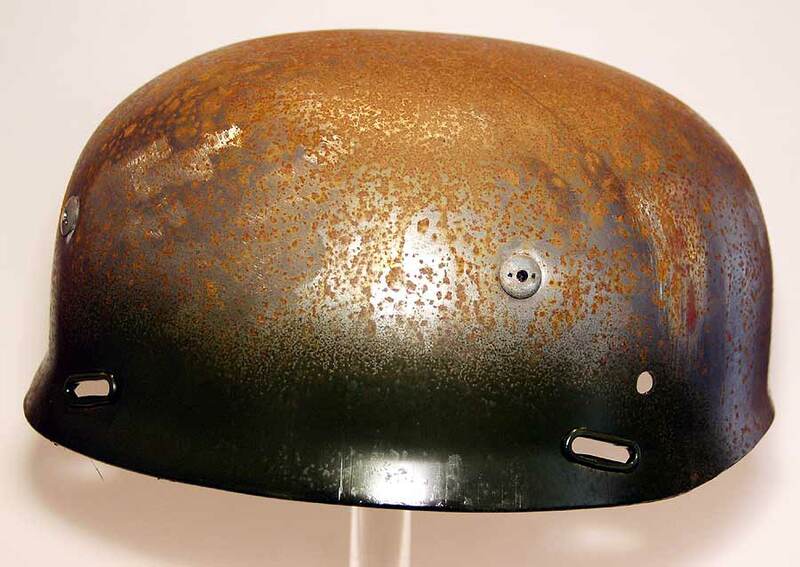 Please be aware we only make historically accurate helmet & hat parts.